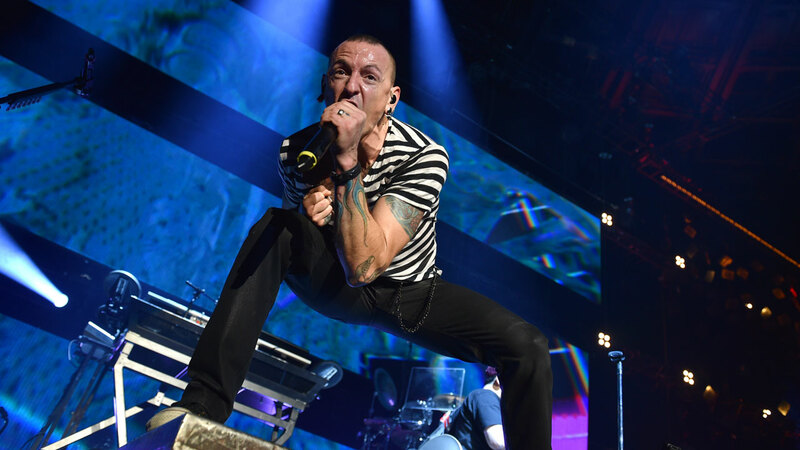 LOS ANGELES -- Chester Bennington, lead singer of rock band Linkin Park, has died, authorities confirmed Thursday. He was 41. Authorities responded to Bennington's home in the 2800 block of Via Victoria in Rancho Palos Verdes in the morning, where the singer was found hanged. A source told Eyewitness News they were investigating Bennington's death as a suicide. Bennington was close friends with the late rocker Chris Cornell and sang a rendition of Leonard Cohen's "Hallelujah" at his funeral. Cornell, 52, had committed suicide in May by hanging himself. The Soundgarden singer's birthday was also on July 20. The band, which started in Agoura Hills, gained fame with their debut album "Hybrid Theory" in 2000. Linkin Park was also slated to appear in "Good Morning America's" summer concert series on Aug. 4 and play the Hollywood Bowl on Oct. 22. Bandmate Mike Shinoda tweeted out his shock over Bennington's death and said the band would release a statement soon. The band sold millions of albums with their unique mix of hard rock, hip hop and rap. In May, they released their seventh album "One More Light." Cameron Strang, Warner Bros Records CEO and chairman, released a statement on behalf of the company. "Chester Bennington was an artist of extraordinary talent and charisma, and a human being with a huge heart and a caring soul. Our thoughts and prayers are with his beautiful family, his band-mates and his many friends. All of us at WBR join with millions of grieving fans around the world in saying: we love you Chester and you will be forever missed." The Phoenix, Arizona native leaves behind his wife, Talinda Bentley, and six children.